To Set up a National Commission on Education to allocate resources and monitor programmes. To ensure that nobody is denied professional education because he or she is poor. Universal enrolment of all. 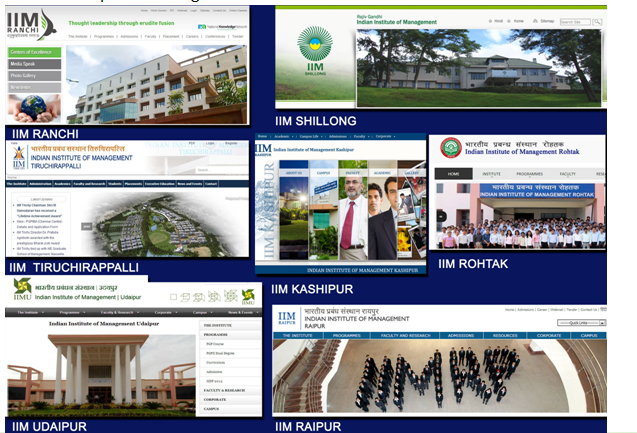 To ensure that all institutions of higher learning and professional education retain their autonomy. Every year, to add one more model school in every block. 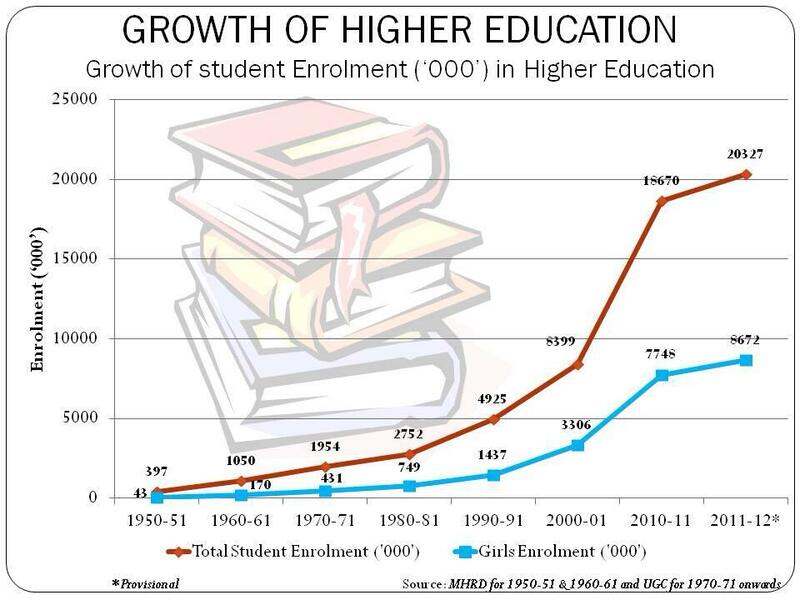 The main policy objectives in higher education is improvement of access, along with equity and excellence, enhancing the relevance of higher education through curriculum reforms,vocationalisation, networking and information technology and distance education, along with reforms in the governance structure. 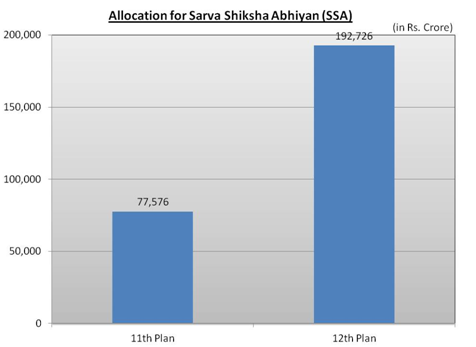 New interventions were approved under SSA for providing uniforms transportation and residential facilities. Mid day Meal Scheme (MDMS) covers children studying in classes I-VIII in All Government aided schools supported under Sarva Shiksha Abhiyan (SSA). These have been massively expanded. National Knowledge Commission (NKC) and the Yash Pal Committee (YPC) were set up by the UPA government to examine issues related to higher education – Both Recommended -single regulator for the higher education sector. The National Authority for Regulation and Accreditation of Higher Educational Institutions Bill, 2010, provides for mandatory accreditation of all higher education institutions and has been introduced in the Parliament. The Foreign Educational Institutions (Regulation of Entry and Operation) Bill, 2010, for regulating the entry and operation of foreign educational institutions in India has been introduced in Parliament on which the Parliamentary Standing Committee has submitted its report. 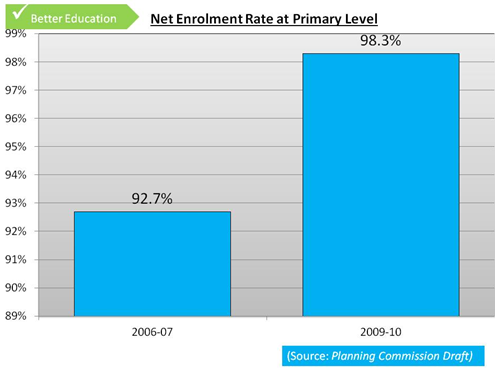 Nearly 99 % Enrolment at Primary Level by successfully implementing the “Right to Education Act”. Making Education a Fundamental Right to All Citizens guaranteed by the Constitution. 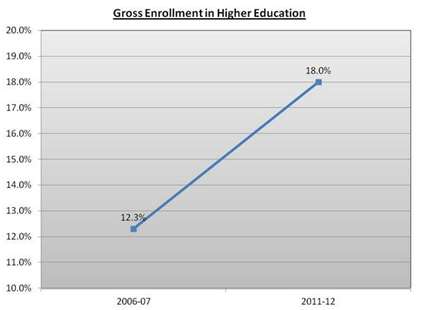 Gross enrolment in higher education, which was 12.3 % in 2006-07, has gone up to 18 % in 2011-12. A provision has been made for central assistance for setting up of a model degree college in each of the identified 374 educationally backward districts where Gross Enrolment Ratio (GER) for higher education is less. Out of 153 proposals received, 78 have been approved and 42 are under process. 479 residential schools/ hostels to cater to 66,181 children have been sanctioned under SSA out of which 432 are functional. Kasturba Gandhi Balika Vidyalayas for Upper primary girls-3609 sanctioned, 3501 operational with enrolment of 3.2 lakhs girls. Uniforms to all girls, SC, ST and BPL children, have been provided for 504.83 lakh children. 10.54 crore children studying in 12.31 lakh institutions have availed of the Mid Day Meal. 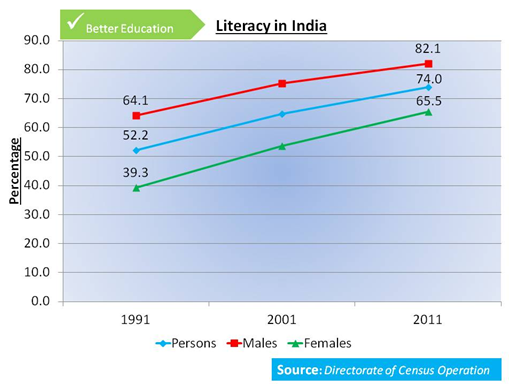 Around 1, 02,804 Adult Education Centres have been set up by 2012. 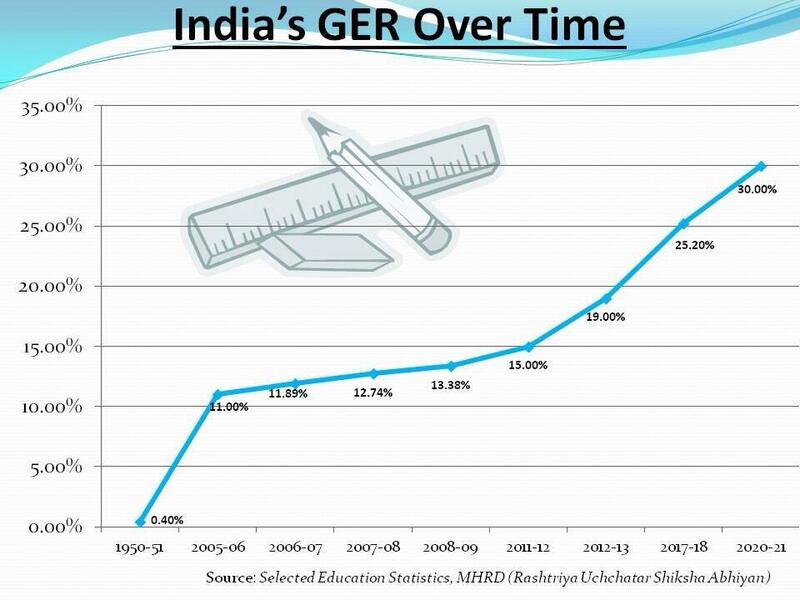 About 15.7 lakh literacy learning centres are functioning in different States of the Country. 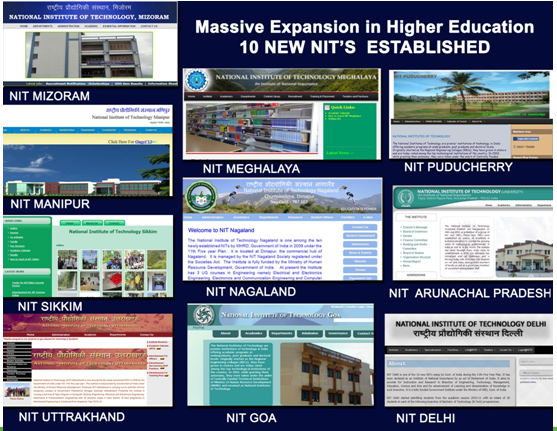 10 new National Institutes of Technology (NIT’s) established. A grant was provided to set up 26 new polytechnics during the year 2011-12. In addition, the second and third installments were given to 85 and 92 polytechnics. 148 polytechnics were provided grant for women’s hostels. 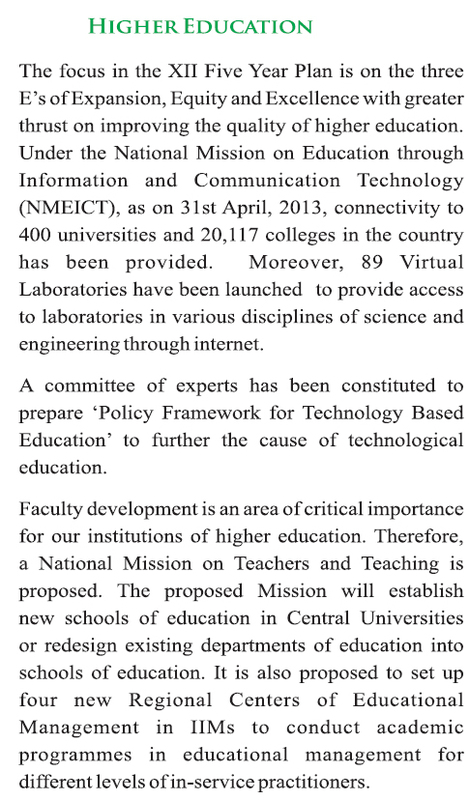 Under National Mission for Information & Communication Technology (ICT) in Education- Virtual Private Networks and internet connections have been provided to 392 universities and 18,189 colleges/polytechnics across the country. 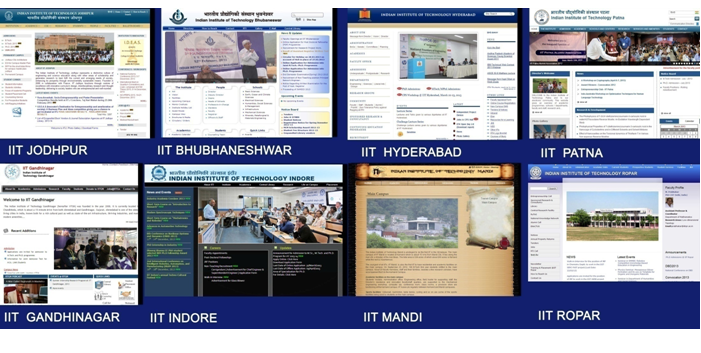 Advanced Version of Aakash-2 Tablet was launched on 11th Nov, 2012. In the first phase 1,00,000 tablets are being distributed for the purpose of testing by users all over India in different climatic and usage conditions.